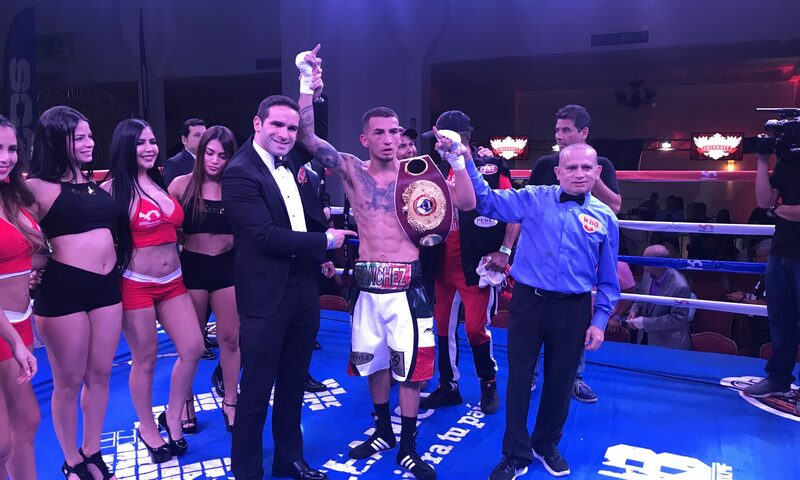 New Mexico’s had no shortage of attractive prospects in boxing since the era of Danny Romero and Johnny Tapia…and for boxing fans in the Land of Enchantment Albuquerque’s undefeated featherweight Jason Sanchez (13-0, 6 KOs) was one of the best prospects the state had ever produced. Well, it’s time to stop calling him a prospect. 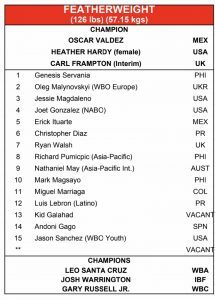 Because now that the World Boxing Organization has released it’s November ratings earlier this week Sanchez graduated to something bigger. After stunning fellow undefeated prospect Jean Carlos Rivera on October 31 in Panama City, there was little doubt that Sanchez was going to make some noise in boxing. After all, he had just beat one of the best featherweight prospects in the world in front of some of boxing’s biggest power brokers (the WBO annual Convention was taking place that week in Panama City at the same hotel where the fight card was held). He also captured the WBO Youth belt in the process, a belt that often is a precursor to a world ranking. Sanchez’s hard work and dominant title victory was more than enough in the eyes of the WBO to propel the Albuquerque native into the world rankings at #15. So where does Sanchez go from here? Well, he needs to continue to win if he is going to move into the top ten, but looking at some of the fighters ranked above him I have to admit, I like his chances against a few of them. I for one think that a fight with California’s Erick Ituarte (20-1-1, 3 KOs) would be a very good match up for Sanchez. Ituarte, the #5 ranked contender, struggled to beat Alberto Torres (11-1-3, 4 KOs) in an NABF Junior title fight back in August of 2017 (Ituarte won a split decision). He also struggled to defeat Isaac Zarate (16-4-3, 2 KOs) by split decision in his only other NABF Junior title fight in May of 2017. Sanchez may not be seen as a puncher but it was obvious that his had enough pop in his punches to give Jean Carlos Rivera a lot of trouble in Panama. And I think he could find similar success against Ituarte, who only has three knockouts in his 22 fights. In fact, one of the most impressive things about Sanchez’s performance in Panama was his relentless attack on Rivera…never letting up and never getting deterred. Against the light punching Ituarte I could see Sanchez duplicate his winning strategy from Panama: walking through Ituarte and manhandling him with relentless pressure. Ituarte was dropped by Zarate in their fight with a counter left cross in the third round, and although it was something of a flash knockdown it was clear after round three that the pressure of Zarate was giving Ituarte a lot of problems. But the underdog simply couldn’t keep the pressure up. By round five Ituarte was in control as the badly winded Zarate began to backpedal. The thing is…I don’t think Sanchez would fade. He certainly didn’t in Panama, where his relentless pressure was a thing of beauty. Rivera tried to weather the storm but Sanchez never took his foot on the accelerator. Ituarte simply lacks the power to frustrate a determined Sanchez in my opinion. And unlike Zarate, who faded down the stretch, Sanchez will be in Ituarte’s face for all ten rounds. If the same Jason Sanchez who who went to Panama were to head to California for a fight against Ituarte I believe that the New Mexican would come home with the win. And that could propel Sanchez into a world title fight in 2019…something every fight fan in New Mexico would be excited to see.